What we Invest in today will Yield the world we will live in tomorrow. Most people realize that we're living in a time of incredible economic opportunity. More wealth is being created today than in any other time in human history. That’s the miracle of modern capitalism and voluntary exchange. It’s vitally important, however, to ensure that economic opportunity exists for everyone -- not merely society’s leaders. When inequality becomes both severe and entrenched, it limits economic mobility, lowers social cohesion and creates political instability. So how do we reap the benefits of capitalism while ensuring that everyone has access to opportunity? No better Way to start the day than a walk in nature. Profitability and sustainability are not mutually exclusive. As the concept of impact investing gains wider traction, more people are beginning to realize that the best financial opportunities are often those with a corresponding social benefit. Let's take a closer look at three recent articles that discuss the link between financial opportunity and societal welfare. We started the day with a rigorous networking hike around the Walden property. 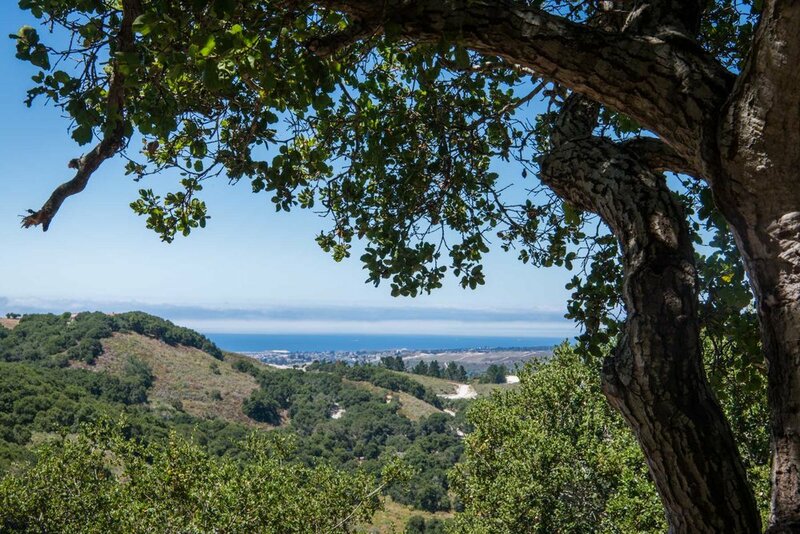 A steady uphill climb among the leafy coastal oaks, let us breathe and introduce ourselves in a relaxed style as a group of individuals from diverse backgrounds and fields joined the discussions. Where are you focusing your efforts now? Connecting with the audience by doing what I want to be. Following the morning hike a farm to table breakfast was served; providing Nick Jekogian with the opportunity to introduce the philosophies behind Walden Gathering. During these discussions, participants break up into groups to increase contributions and engagement. Topics are addressed, opinions are shared and summaries are presented to all. Use spirituality to create a focus on loving the earth. Zero marginal costs are a problem for utility companies today. Carbon trading was a start not a solution. Need to find ways for each of us to help others adopt solutions. Starts with a personal comitment. Tesla is just a means to get more batteries into the world. As the twin impacts of climate change and globalization are more keenly felt worldwide, inventors, investors and lawmakers are looking at novel approaches to create economic benefits in a sustainable fashion. Perhaps nowhere are these pressures felt more acutely than in Greenland. The country's massive network of glaciers is melting at the fastest rate in 350 years, creating significant stress on the environment and endangering the local economy, which is largely based on fishing and tourism. There is, however, at least one potential upside in this enormous loss of sea ice: The exposure of highly valuable sand reserves. Though it is little discussed, there is a global shortage of sand. As Greenland's glaciers retreat, enormous sand bars are being revealed. This sand can be mined and used in the global production of glass, computer parts and concrete. The potential economic benefits are substantial -- it's estimated that sand sales could generate more than $1 billion annually for Greenland -- or more than half the country's GDP. That would be a significant positive for a nation taking the brunt of the effects of global climate change -- provided the sand is safely and sustainably extracted and transported. Like Greenland, California has also been dealing with devastating climate-related effects in the form of wildfires and droughts. Fortunately, state lawmakers have been among the most active in the nation in terms of protecting the local environment. The most recent example of this is the "Solar Bill of Rights," a bipartisan effort that makes it easier and more affordable to install solar panels and other forms of clean energy. Homeowners who install solar panels would be compensated for their contribution to the state's energy grid. The idea behind the bill is simple: Sunshine is one of California's most abundant natural resources, so it makes sense to harness its power to lower dependency on fossil fuels. As solar panel adoption rises, the state's energy consumption becomes cleaner. The state may push this idea even further: One bill currently in the state legislature would require all newly constructed homes built after 2020 to have solar panels. We are all part of the community of earth dwellers. Nature teaches renewal, we need to listen. We need to care for our home as a community. Buddhist - I pray for you and everyone. Leading from the imagined future. Someone has to stand up and support the Ends justify the means. Take a step inward toward others. Perfection is the enemy of good. The next generation can fix this if they are taught to care. Towards the end of the twentieth century, a lot of responsible investing was relegated to simply abstaining from investing. In other words, divesting and boycotting in order to send the message that we would not support companies that were doing irreparable harm to the planet. And while divesting from the companies that are most contributing to our problems is helpful, there are limits to the solutions that can provide. With impact investing, we’re able to do more than just not support problems, we can fund solutions. And with carbon at over 400 parts per million in the atmosphere for the first time in millions of years, and still rising precipitously, we need solutions as we race to achieve the goals set out by the Paris Accords to not let overall global temperatures increase by more than 2° Celsius. Abstaining: Choosing not to support what isn't working is still an important tool and impact investors will choose not to invest unless there are positive impacts that can be definitively quantified. The impact investor takes the impact on the world as seriously as they do on finances. Whatever the ultimate solution to climate change turns out to be, one thing is certain, it will take a large amount of capital. And so it is necessary that the world of finance take notice. It's been five years since Sir Ronald Cohen declared that “social impact investing is the new venture capital,” and five years later the numbers back him up, with a projection of up to $500 billion invested in assets in the impact investing industry; that’s astounding growth from $5 billion in 2007. From realized success stories to the Climate Investing Track now offered by GIIN that makes impactful investing to solve the problem of climate change more accessible, it's clear that this is a going to be a major part of the story of future finance. And by choosing to view all of the financial decisions we make in light of not just market trends but those trends that reflect the health of our planet and society, we are taking better control of both our financial and global future. WALDEN GATHERINGS ARE NOT JUST FOCUSED ON TALKING ABOUT SOLUTIONS, BUT PUTTING SOLUTIONS INTO ACTION. While ideas are shared throughout the day, we gather to create change. In order to improve the world around us, we must not only speak about the issues at hand, but work towards solutions. The point of the discussions is to establish the framework for identifying and understanding the problems. What follows, is most important. Holistic balance sheets that consider the externalities at the producer and consumer levels. Don’t worry about perfection just be better. The group at the end of the day was most passionate about the establishment of programs to share the importance of working with purpose, with the goal of increasing the amount of “Future Leaders” within our communities. We aim to bring together passionate individuals, groups and organizations to gather, learn and collaborate in small groups on how best to contribute and invest their time, talent and resources to innovative solutions -- and then take them back into the world. We see everyone who joins as an equal expert at the table because we believe in the wisdom of the crowd to find solutions.